Built in the Yuan Dynasty, Weishan ancient city was the birthplace of Nanzhao Kingdom. As a distinctive historical and cultural city, Weishan still keeps a rich and authentic characteristic today. The site is located at No. 77 on South Street. A Yunnan native, the owner named the place "Dali Kitchen." Here visitors can not only enjoy authentic Yunnan cuisine, but also be able to experience the unique Yunnan slow life. Sit down, stay down, hands-on cooking. 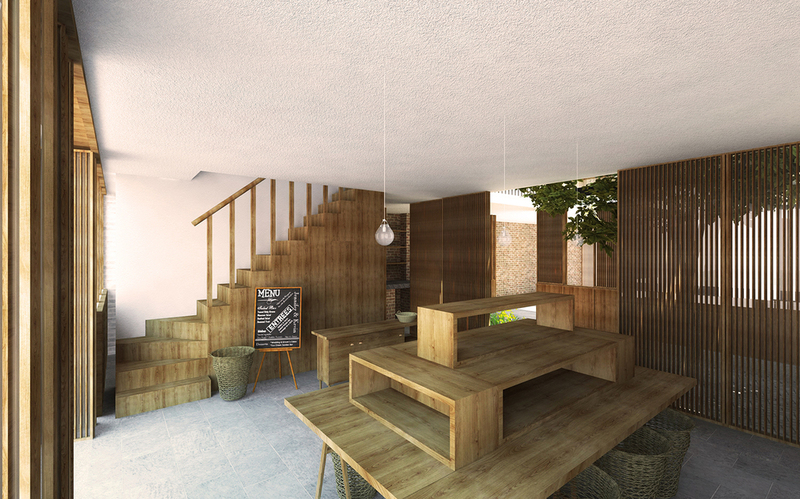 The main function is divided into four parts: street shop, kitchen and dining space, living common and guest rooms. 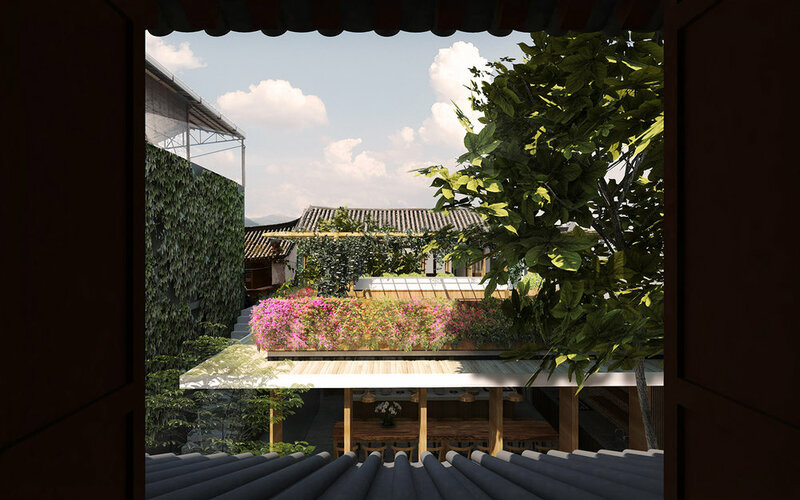 The architecture applies the traditional layout of three-entrance courtyard, transiting from the public to the private. Street shop is composed of shopping area and cafe lounge. Kitchen and dining space is located at the center and can accommodate 20 people in total. The existing two-story old house is preserved as a living common. Passing over the old house is the residential area, composed of 3 building volumes and 2 small courtyards. This layout ensures that each room directly faces a small courtyard, enjoying the mild weather and abundant planting outside, while also preserving the privacy of the guest room. 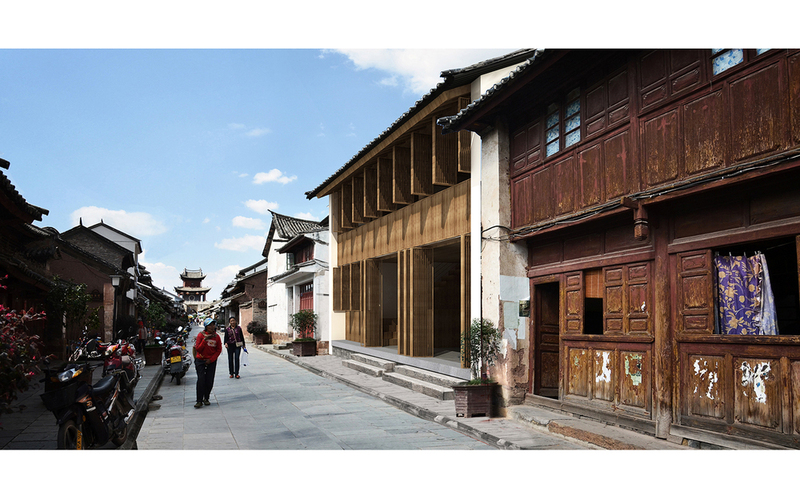 Given the narrow streets, dense neighborhood, and limited construction conditions, the new architecture applies steel structure system. The steel elements come in small size and ensures easy on-site assembling, while at the same time forming a dialogue with the rich and delicate traditional architecture surrounded. Program: shop, kitchen, restaurant, guest room, etc. Floor Area: 622 sq. m.